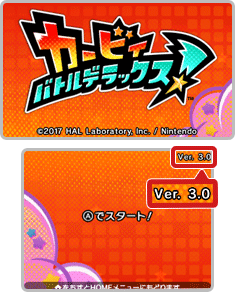 On this page, you will find all there is to know about the Software updates for Kirby: Battle Royale on Nintendo 3DS (originally released on November 3rd 2017 in Europe, November 30th 2017 in Japan, and January 19th 2018 in North America). 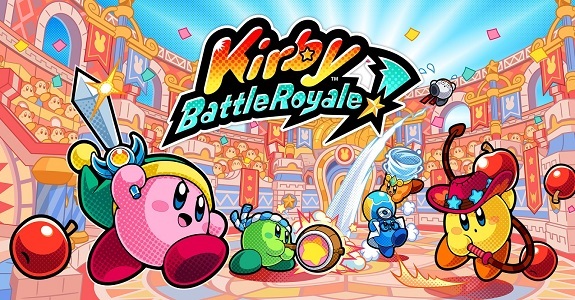 How to download updates for Kirby: Battle Royale on Nintendo 3DS? Added Kirby’s Sleep Copy Ability. Adjusted balance of Copy Ability strengths. Several adjustments made to enhance gameplay. In Online Battle, a Battle Arena match will be terminated if it is taking unusually long due to attacks focused on one player. This will end as an incomplete game that won’t affect Ranking Points. Additional notes: the update is required in order to keep playing the game online. Fixed a glitch that would sometime make the game stop when the rocket takes off in Rocket Rumble. Additional notes: this update adds the Mirror Copy Ability, which won the Kirby Copy Ability Global Poll. A second Copy Ability will be added next year, via another Software update: the winner of the second poll. Click here for more details about that! Unfortunately, it’s not clear whether the North American version of the game (which launches after the first update) will include the Mirror Copy Ability from the getgo or not. Also, if you download this update, you will no longer be able to play via local wireless with players still on Ver. 1.0. The update is mandatory to keep using the online features.